Veteran's Benefits for Gulf War Syndrome US Veterans may qualify for VA disability benefits for Gulf War Syndrome--now also referred to as “chronic multi-symptom illness” and “undiagnosed illnesses”. As soldiers returned from the Persian Gulf War to re-establish their lives at home, many faced a variety of unexplained illnesses and conditions that were hard for doctors to diagnose or attribute to a known disease. After serving in Southwest Asia, they complained of skin rashes, headaches, memory loss, joint pain, and many other medical issues. Initially, the U.S. Department of Veterans Affairs (VA) and the Department of Defense (DoD) disregarded these symptoms and told veterans they were stress-related and psychological in nature. Because the VA and medical community did not believe these symptoms were part of a real condition, it was difficult for veterans to receive VA disability benefits. Some veterans were accused of faking their conditions or exaggerating the severity of their symptoms, and some were given drugs such as Prozac because many believed these veterans were suffering from depression. Eventually, doctors and researchers began to refer to this cluster of symptoms as Gulf War Syndrome (GWS), “Gulf War Illness,” or “Desert Storm Disease.” And in 2009, three presumptive conditions were approved by the VA for GWS: irritable bowel syndrome (IBS), chronic fatigue syndrome (CFS), and fibromyalgia syndrome (FMS). Amyotrophic lateral sclerosis (ALS), Alzheimer’s disease, and Parkinson’s disease were eventually added to that list. But despite these changes, it still may be difficult for Gulf War veterans to qualify for VA benefits and get an approved claim. 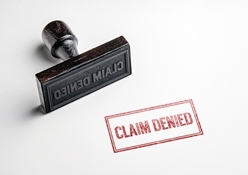 Because many GWS claims are denied, it may be helpful to have an attorney work with you during the VA application process, especially one who understands GWS. In March 2016, members of the Veterans of Foreign Wars (VFW) testified before House lawmakers that a high rate of GWS claims were being rejected by the VA in what the VFW believed was an intentional strategy for ruling out GWS as a real condition. The VFW testimony came as part of an investigation by the House to determine if veterans of the Persian Gulf War were receiving proper care 25 years later. Although veterans were exposed to a toxic environment in Southeast Asia, including oil fields and chemical weapons—all which are found to contribute to these unexplained symptoms—nearly 80 percent of GWS claims were still being rejected by the VA. This was up by about 4 percent from 76 percent in 2011. Additionally, the director of Veterans for Common Sense, Anthony Hardie, wrote in testimony to two House VA subcommittees, “The low approval rates approach the limited odds of winning a scratch-off lottery and are a complete contravention of the 1998 laws passed to improve Gulf War veterans’ ability to have their claims approved.” Hardie believes that the VA has failed most of the veterans who are suffering GWS symptoms. But some feel the December deadline needs to be extended. Speaking before the House VA Oversight and Investigations subcommittee and the Disability Assistance and Memorial Affairs subcommittee, advocates for veterans asked that the deadline be extended and improvements made to the GWS claims approval process. Advocacy groups cited a recent report from the Institute of Medicine that found a link between bladder cancer and hypothyroidism and exposure to Agent Orange in Vietnam veterans. The advocates believe that because of these new findings, the deadline for GWS claims should be extended for at least five years and possibly indefinitely. An official for the VA said the agency was moving forward to change the deadline, but the process was not completed. If you’re a Gulf War veteran who wants to file a claim for GWS, or you’re having a difficult time getting your GWS claim approved, we can help. Call Cuddigan Law at (402) 933-5405. We can help determine if you qualify for VA disability.